"60K & A SPACE GUN? WHO THE HELL ARE YOU PEOPLE?" That's a good question and an actual line of dialogue in the movie. KIN basically came and went w/o so much a peep in theaters;it cost $30M but only made $9M. It's not hard to see why on a narrative level as the film stumbles between crazy-weird science fiction/fantasy action and grounded family drama that gets surprisingly dark. 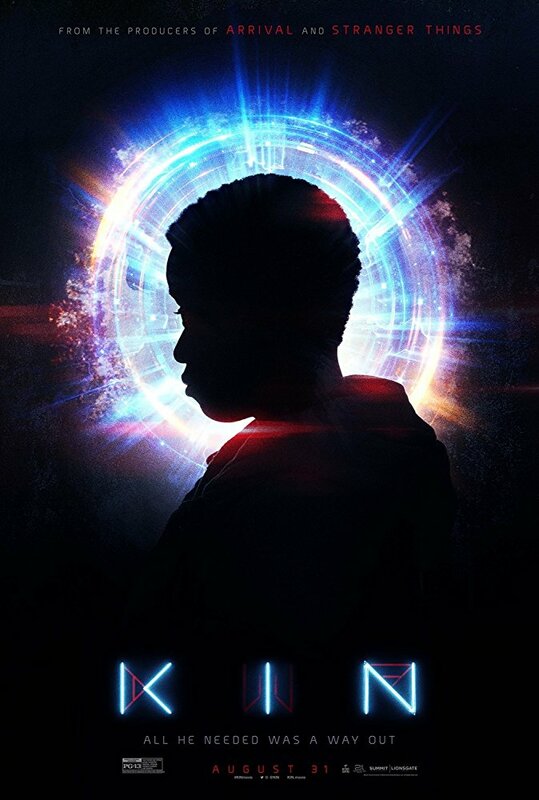 The basic plot is that two brothers (one a white ex-con; the other a black teen) go on the run from a gangster (James Franco); meet a stripper (Kravitz); and encounter alien visitors. No posts have been made on this movie yet. Be the first to start talking about Kin!